Rick has the ability to explain customer experience in simple understandable terms. His success in building sustainable customer centric change has been achieved working collaboratively with both customer and non-customer facing areas, allowing seamless CE focus which complements rather than challenges core specialities. He has explored behind the scenes with several of Britain’s most accomplished customer experience brands including Lexus and Prêt a Manger, and has worked with Customer Experience thought leaders in both the U.K. and U.S.A.
Rick’s career began in retail, then moved into financial services, firstly in B2B sales and then B2C. 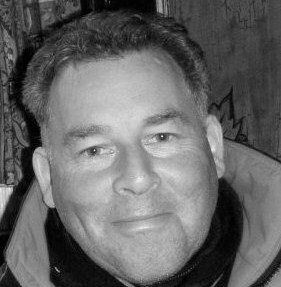 In 1995 he was responsible for the business design of Britannia Building Society’s CRM system before moving on to manage the organisation-wide CRM engagement and exploitation. In 2005 he became Head of Engagement for Customer Experience, responsible for all awareness and implementation activities across the organisation from executive to customer service advisor. Rick is an accomplished speaker and coach who transfers his passion for customer experience to audiences through real life situations and explanations, achieving memorable light-bulb moments which act as a mechanism for sustainable focus. His specialities include Customer Experience awareness, strategy, design, implementation and measurement. Rick has a real passion for CE because when he talks CE comes alive, people get it. An inspirational presenter who has really motivated people through his involvement. Rick is passionate about CE and consistently challenges and develops our understanding in the team. There are hundreds of people in the organisation who’ve been inspired by your communication and passion around customer experience.